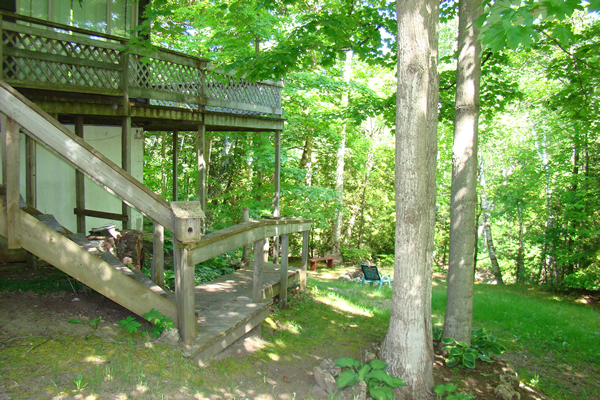 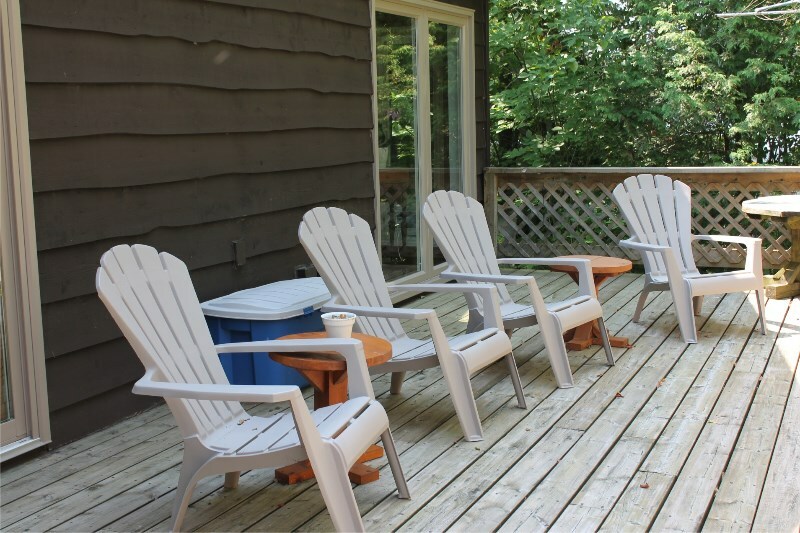 This Sauble Riverfront Cottage is nestled among mature trees offering the most tranquil relaxing setting. 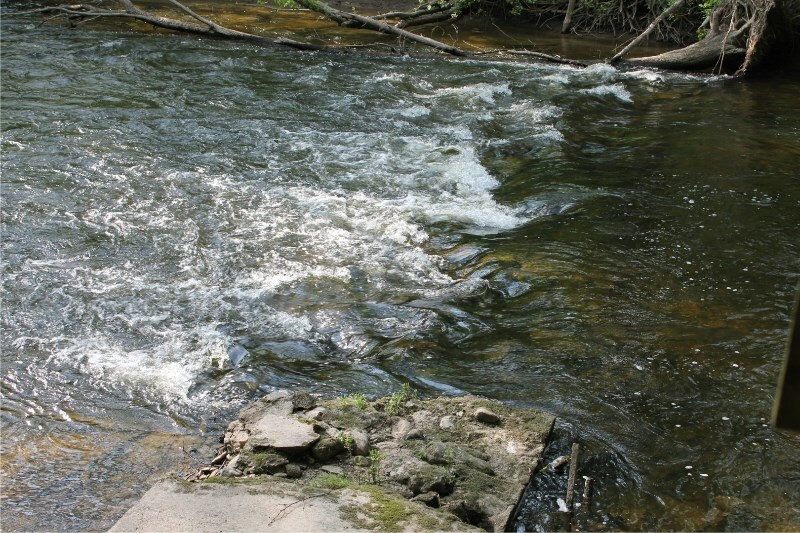 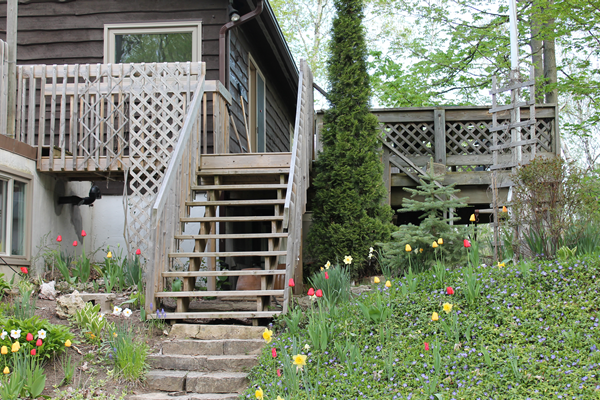 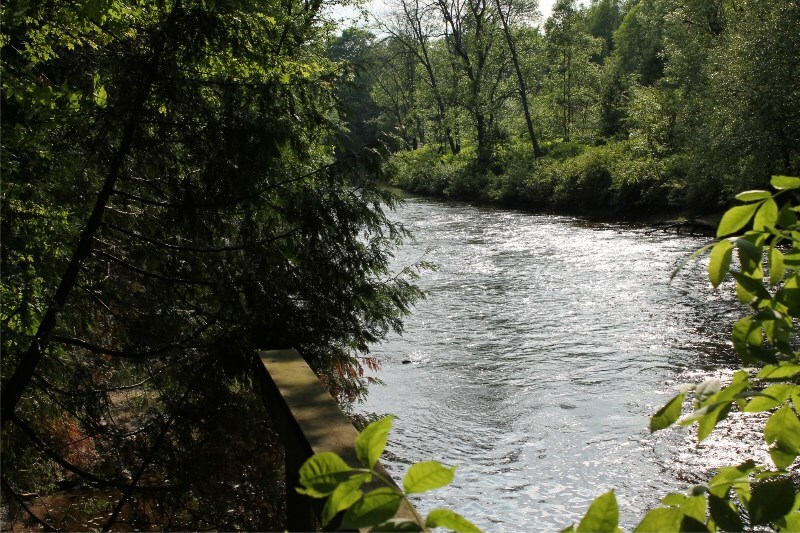 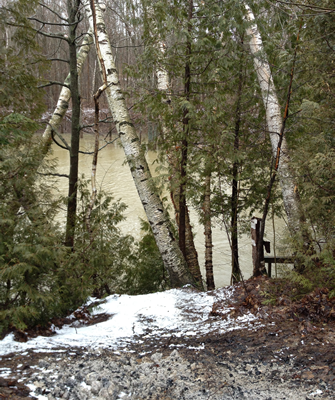 You can hear Sauble River cascade over rocks from your deck and back yard. 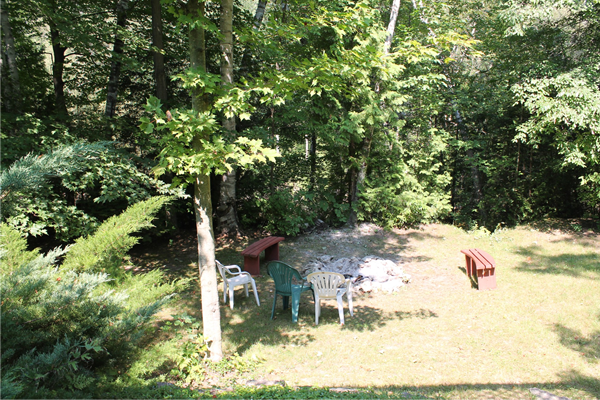 Here you’re within walking distance to the hiking, ATV and snowmobile trails. 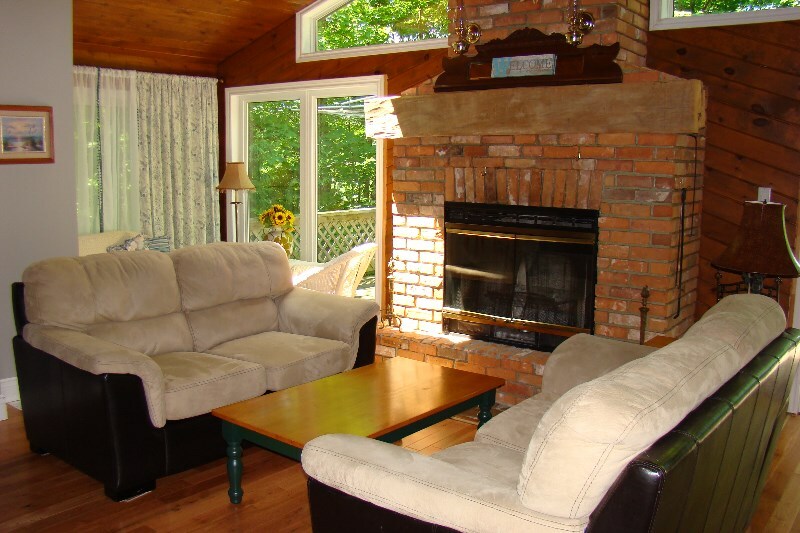 The kids will enjoy their own space in main floor living room with a big screen tv and an additional dining table. 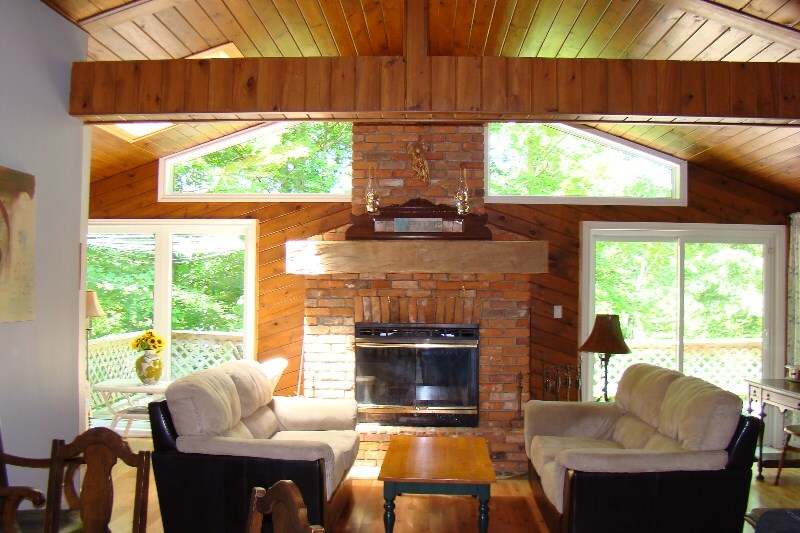 The adults will enjoy the upper level living room with cathedral ceilings and walk out wrap around deck. 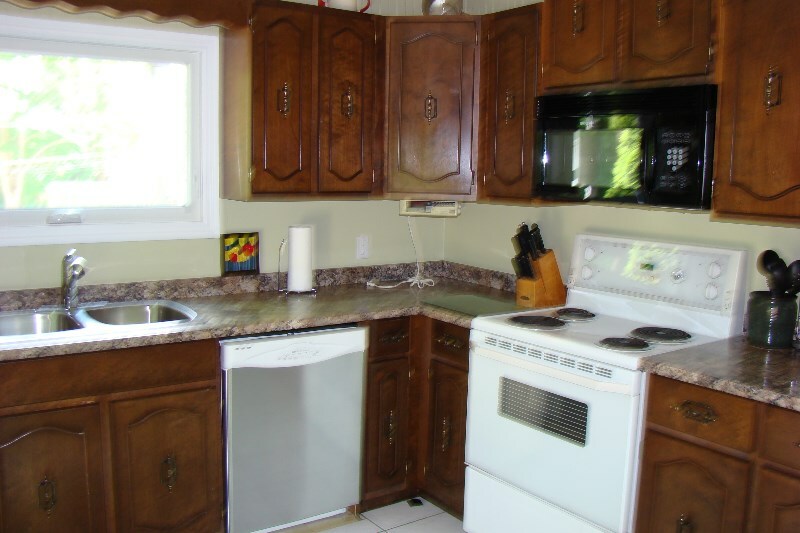 The kitchen is equipped with everything you’ll need including a dishwasher. 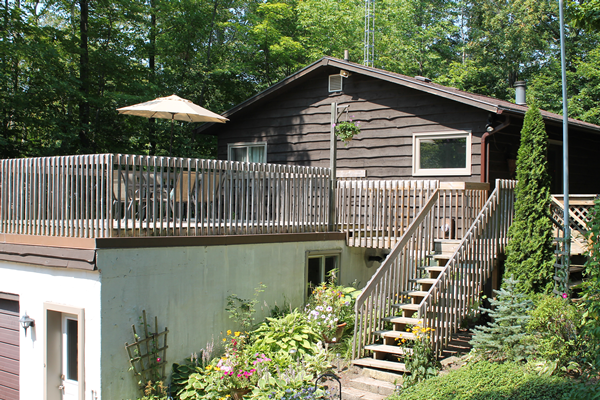 A garden door leads to an upper deck offering areas to BBQ, dine, sun and entertain. 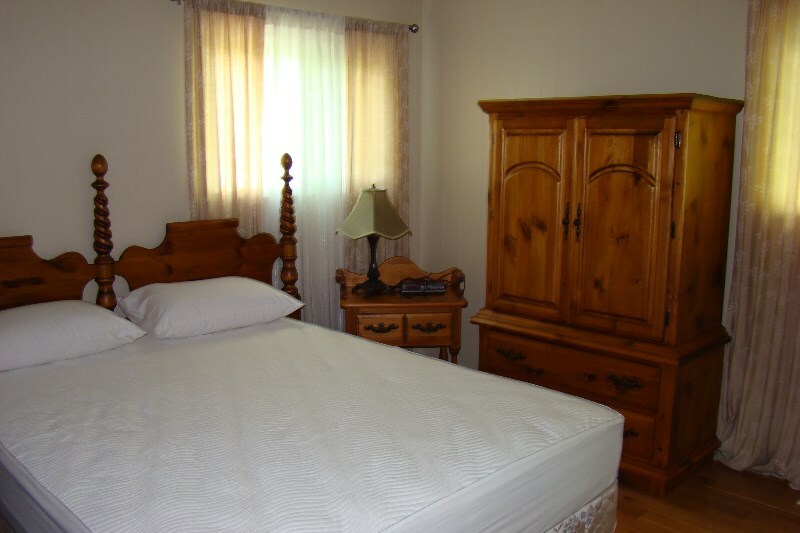 The master bedroom is on the top level with a queen bed and en suite with jacuzzi tub. 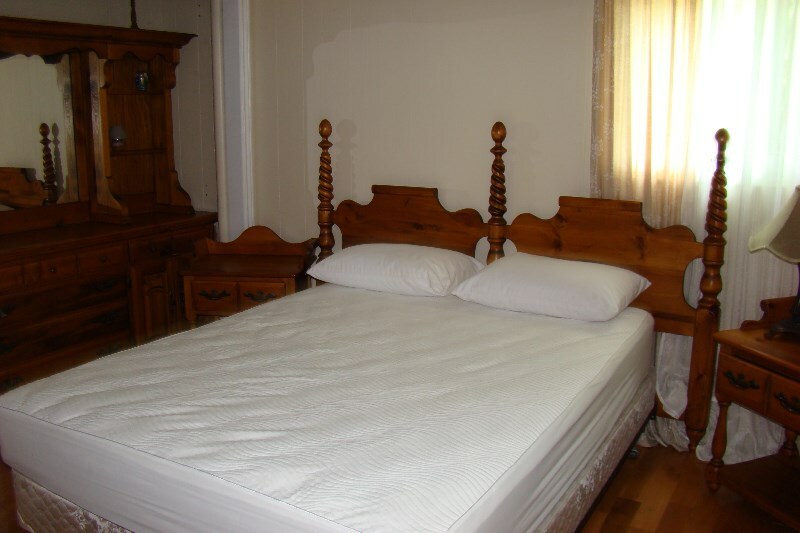 The two other bedrooms are on the main floor, one has a queen and the second has a double bed and a set of single bunks. 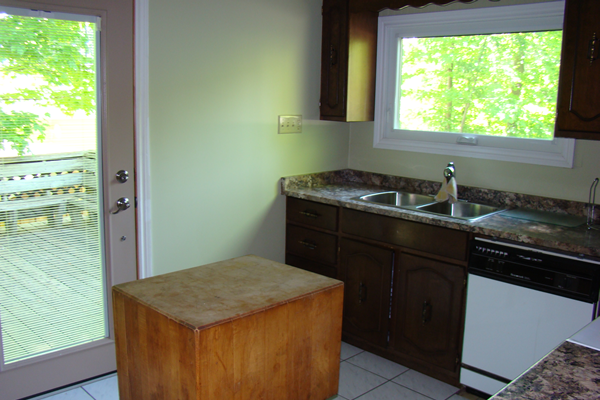 There is also a full bath with a tub on this level. 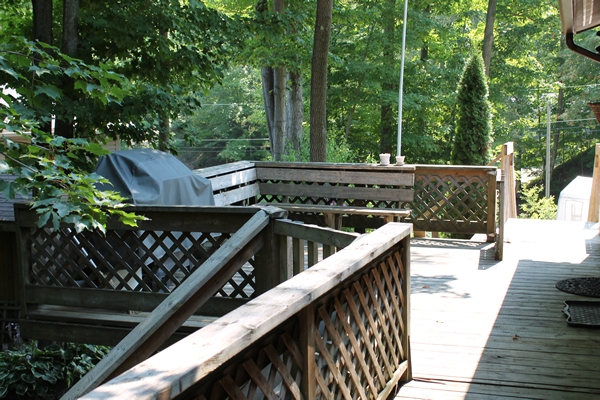 You have water access via block steps down to a wood dock, which sits about 8 feet high above the water. 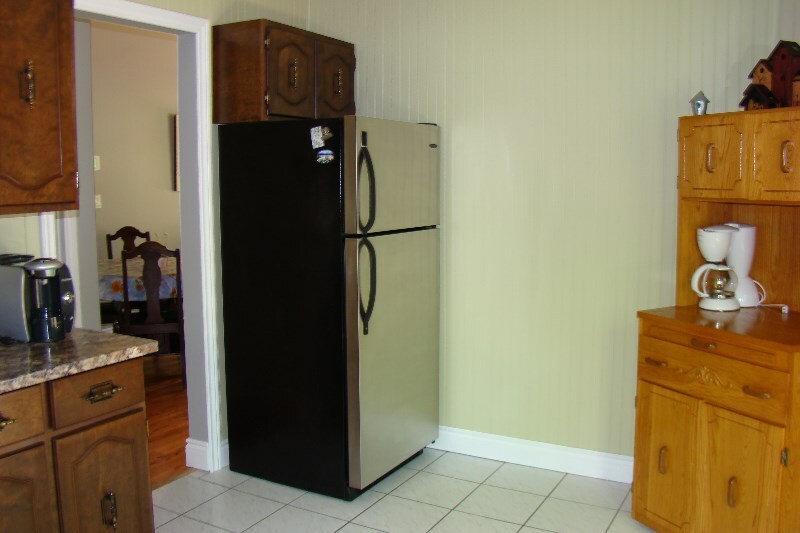 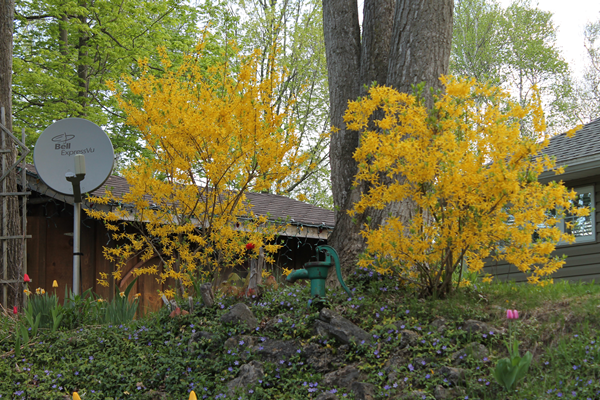 The home offers wireless internet. 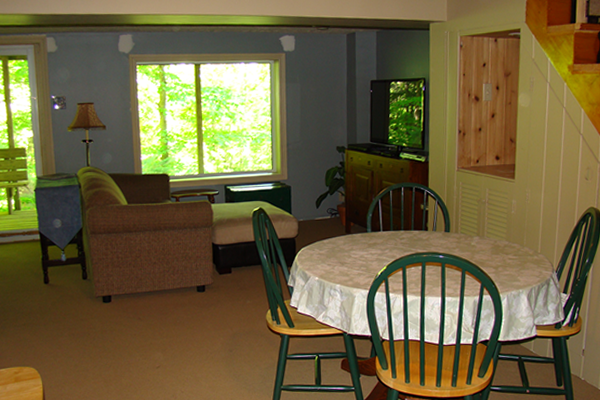 We rent to families only from Sat-Sat, sorry pets are not allowed.